Our Energy clients are constantly discovering ways to harness emerging technologies to address new challenges. They create solutions for energy security and climate change, and work to meet increasing demand in the US and in developing countries. 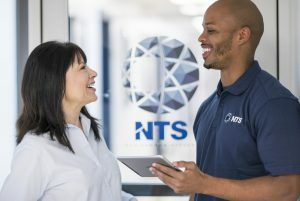 NTS is an international leader and single-source provider of product qualification and testing services for the highly-regulated nuclear power industry. We deliver cost-effective solutions to help you mitigate risk and maintain compliance with IEEE, EPRI and other safety guidelines. Specific services include complete EMI/RFI testing and analysis at NTS or at your location. We can also provide software verification and validation for all microprocessor-based equipment, as well as equipment obsolescence planning and assistance with new component selection. Energy testing for the Smart Grid is an evolving area of specialization, and one that NTS is uniquely qualified to fulfill. Our team has extensive experience engineering creative solutions to meet compliance requirements for meters, outlets, thermostats and other components of smart grid systems. We are constantly expanding and enhancing our testing services to meet the challenges of this thriving industry. Right now, we can provide turnkey compliance solutions for NIST, IEC and IEEE standards. While our current smart grid energy testing services include environmental simulation, reliability testing, portal testing and more. The demand for renewable power generation systems is on the rise worldwide. To meet the challenges associated with this growing consumer need, NTS offers solar energy testing services, including module efficiency testing, as well as PV module and grid tie inverter certification to UL1703 and UL1741 standards. We can also provide accelerated life testing (ALT) and thermal cycling for PV components. Want to know more about our solar and other renewable energy testing services? Request a quote now. Other Devices and Components, such as switches, relays, cable joints, line traps, breakers and more. Communication in Power Substation, Wide Area Network and Home Area Network, including many open standards protocols such as ZigBee, Wi-Fi, PLC, Bluetooth, WiMAX and others. Measurement, Monitoring and Control Technologies: Advanced Metering, Home and Building Automation, Industrial Control, Gateways, In-Home Displays, Thermostat, Smart Appliances and more. Building HVAC: Automated Energy Control Systems in hotels, industrial plants, etc. Electric Vehicles to the Smart Grid, Charging stations and vehicle communication protocol. 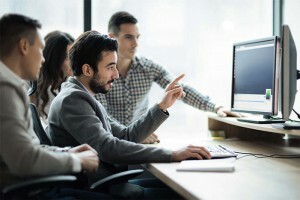 Cybersecurity: Protecting critical assets that manage energy infrastructures, such as computers, software, supervisory control and data acquisition (SCADA) and process control systems (and the networks that support those systems). Whether you’re developing solutions for Nuclear applications or generating Clean Energy; creating efficient Energy Storage or designing products for Smart Grid, let’s talk.